After my sweet friend Jennifer, a fabulous calligrapher, posted jewel inspired wedding cakes from Martha Stewart Weddings … I was inspired. The light aqua blue and gold caught my eye! Regal, modern and elegant!!! So, I whipped up a monogramed invitation with a hand drawn crown. Found the best pair of gold shoes and the most beautiful gold floral wedding bouquet I could find. And the dress. Isn’t it just amazing? The fabulous shoes are from Kate Spade. Cake, bouquet, aisleÂ from Martha Stewart Weddings. Bridesmaid dress from Alvina Valenta Bridesmaid Dress Style AV9044. 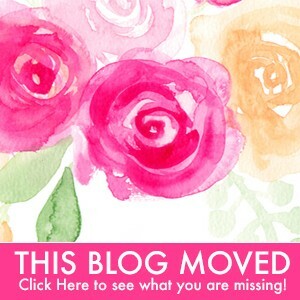 Pink and black are proving to be a popular color choice by our blog readers. So I just had to update, share and build this Anemone Flower Inspiration board. Paired with ivory this blush pink and black color palette is perfect for your spring, summer, fall or winter wedding I think! Kristen wanted a custom invitation for her wedding featuring Anemone flowers. This flower is ADORABLE. Anemone means “WIND” in Greek. And is known as the “WIND FLOWER” as they thought the wind caused it to bloom. Soooo Sweet. Don’t you think? Kristen’s custom invitations with anemone flowers is elegant, simple and vintage. Light tan metallic coverstock, layered w/ black coverstock and thick white coverstock. Kristen upgraded to raised ink and had me hand paint each anemone flower in pale pink / blush watercolor! So soft and inviting! Cake by Peggy Porschen. Bouquet from brides.com. Table top flowers from theknot.com. Pink bridesmaid dress from Alfred Angelo Style Number 7095 in Pink. Shoes by Christian Louboutin. I love an outdoor wedding! Sunflowers just add the perfect, cheerful touch. Just look at the bright golden yellow sunflowers, they make me smile! Thank you for your kind words Stephanie! I whipped this inspiration board up a while ago. 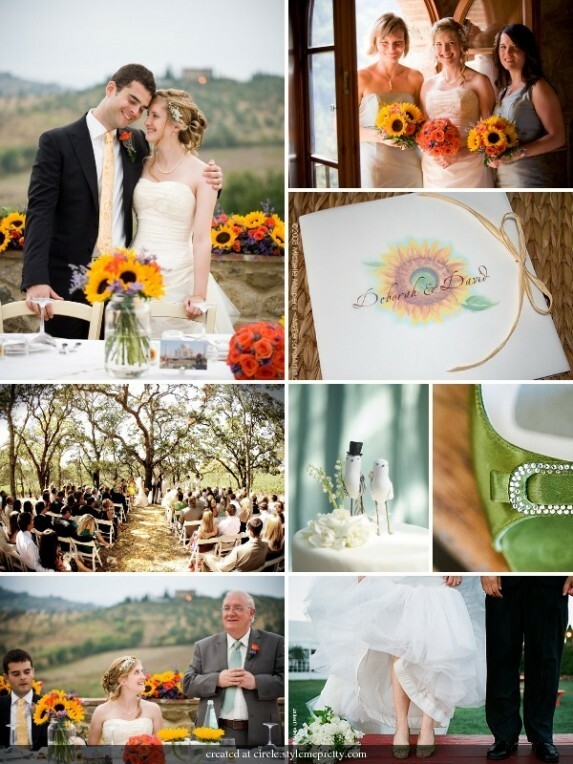 I thought of it immediately when you mentioned sunflowers and coral! Notice the light splash of lilac/purples with this color scheme! Gorgeous. Best wishes and good luck! Custom Silhouettes are Vintage and Fun! Vintage, Custom, and Fun! 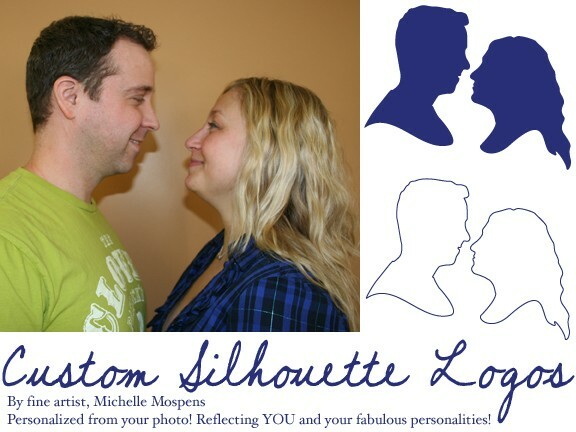 Michelle Mospens creates custom silhouettes for YOU to enjoy!! Use Michelle’s silhouette art to print your own invitations and stationery or have us, My Personal Artist, print your stationery! Yum! 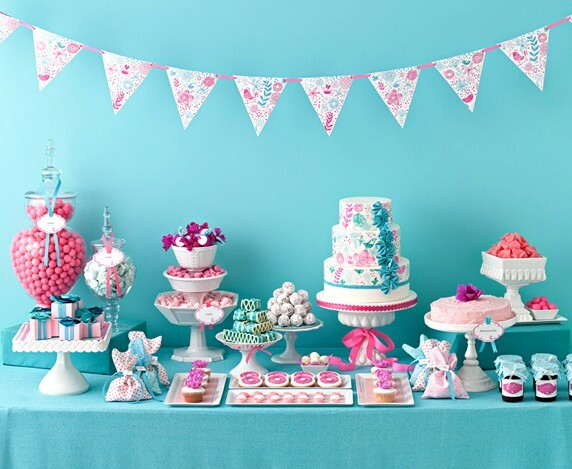 Check out Amy Atlas’ Delightful Dessert Table! Wow! I have to say my mouth dropped when I set my eyes on THIS lovely bright aqua and pink dessert table scape by Amy Atlas in BRIDES wedding magazine! My favorite color combo EVER!!! Andrew McCaul‘s photography is loveeeely! Today when I hopped on Facebook. THERE she was… AMY ATLAS. THE dessert table designer herself. A delightful sugary genius if you ask me! So, I asked her personally, May I share this on my blog? And she gave me permission to share! Yay! Wow. Wow. Wow! What do you think. Beautiful and yummy right? Interested in MORE? See Amy Atlas at work behind the scenes!!! Delightful and amazing work, HATS OFF to Amy and her team!!! Anniversary Sale! We’re 12 this month!! Wow! It is hard to believe that 12 years ago I started ‘My Personal Artist’ from a tiny sunroom in our home. 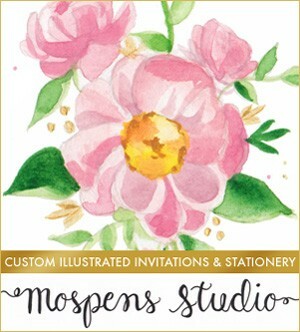 Making hand made, hand painted and scented greeting cards, custom invites, corporate stationery, drawing portraits, and more! Now, go enjoy our sales!